Estate planning is an intricate process, implicating specific problems such as prohibited transfers, testamentary capacity, conflicts of interest and undue influence. Each decision could impact how the big picture plays out. Estate/trust administration can be tricky too. The last thing anyone should want is to see a family fight about what a cared one has accumulated over a lifetime. If the planning is bad or stale, the chance of a dispute increases. Tax and substantive laws change all the time. The family dynamic can frequently change. Nothing causes strife and wastes money like a family squabble. Trusts can sometimes help to avoid conflict, whether created within a will or separately. The key is to avoid ambiguity, maximize flexibility, and keep costs down. 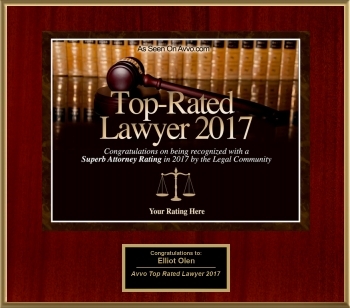 Our Pennsylvania estate litigation attorney at Olen Law Office has the skills you need to accomplish that. Contact our Bucks County estate litigation attorney at the Olen Law Office to find out how to say what you want and why it matters. We are here to provide assistance for all of your trust and estate litigation needs – lost will, contested will, mis-valuation of assets, over-payments of claims, self-interested fiduciaries, uncooperative beneficiaries – it is all there to beware. With more than 35 years of experience, Bucks County lawyer Elliot Mark Olen understands the complexities involved in choosing how to create, administer, and oversee a trust or estate. Other aspects of asset protection and estate planning outside the trust or will are important to consider as well. These things may include power of attorney, gifts before death and property passing outside the estate. It is not just who is specified to receive which assets or property. Equally important is who handles things, at what costs, taking how long and with guidelines you (not the court) establish. When a resolution cannot be reached through negotiation, and litigation becomes necessary. Attorney Olen possesses specialized knowledge and skill in representing beneficiaries and fiduciaries in Orphan’s Court litigation (the informal name for trust and estate litigation court). Let us clarify and implement the law and any governing documents in resolving Orphans’ Court disputes. To schedule an appointment, contact our Pennsylvania estate litigation attorney in the Oxford Valley area of Bucks County today. Call 215-943-5343.